Global security and outsourcing firm G4S has released a statement expressing its 'deep shock' and outlining details of the employee who has been identified as the gunman who killed 50 people in a nightclub in the US city of Orlando during the weekend. 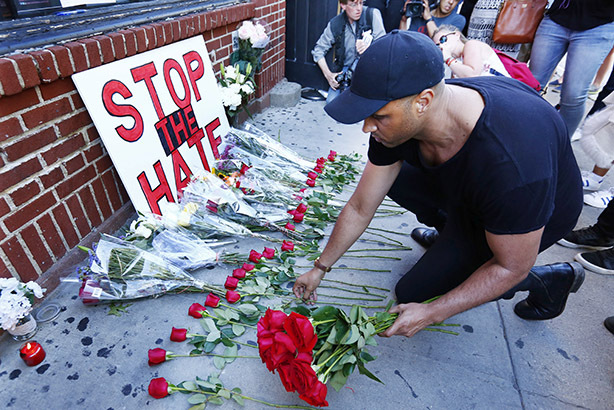 The shooting at a gay nightclub is being described as the worst mass shooting in US history. Omar Mateen was yesterday named as the man behind the attack in the early hours of Sunday morning. The terrorist group ISIS has since reportedly claimed Mateen as one of its 'fighters', while his ex-wife has told media he suffered with mental health issues and had physically abused her. A statement posted on the G4S website begins: "G4S is deeply shocked by the tragic events in Orlando this weekend and the thoughts of everyone at G4S are with the victims and their families." The company goes on to say that Mateen "was employed by G4S at a residential community in South Florida and was off-duty at the time of the incident". "Mateen was subject to detailed company screening when he was recruited in 2007, and re-screened in 2013 with no adverse findings. He was also subject to checks by a US law enforcement agency with no findings reported to G4S," it continues. A UK spokesman for the team said they understood it was initially the FBI that alerted the company in the US to Mateen's identity. He said that after Mateen's name was released publicly and his employment had become a matter of public speculation, the company sent a statement to journalists, in the name of the firm's North America CEO, late on Sunday afternoon (UK time). Later in the day, that was posted online as an investor-relations statement without the CEO's name attached, and then updated twice to become the version reported by PRWeek in this story. "In these situations, it's hugely important to balance the urge to communicate and the need to ensure you are communicating accurate facts; one has to achieve the best balance between those," the spokesman said. Listed in both London and Copenhagen, G4S has 610,000 staff globally, and reported revenue of £6.4bn ($9bn) in 2015.